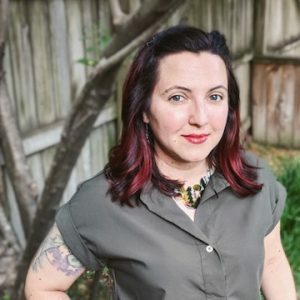 This month, Londie T. Martin, Assistant Professor of Rhetoric and Writing, published a book chapter on youth activism, multimedia, and queer rhetorical practices with co-author Adela C. Licona, Associate Professor of English at the University of Arizona. In “Remixed Literacies and Radical Cooperation at Play in a Youth-Directed Media Project,” Martin and Licona focus on the creative multimedia productions that emerged from a youth-directed social justice summer camp held annually in Tucson, Arizona. Through their reflections on these remixed media projects and their participation in the direction of the summer camp itself, Martin and Licona theorize the use of remix tactics as both queered rhetorical performance and radical cooperation. You can find Martin and Licona’s work in Writing for Engagement: Responsive Practice for Social Action, edited by Mary P. Sheridan, Megan J. Bardolph, Megan Faver Hartline, and Drew Holladay. You can learn more about this edited collection at the publisher’s website.